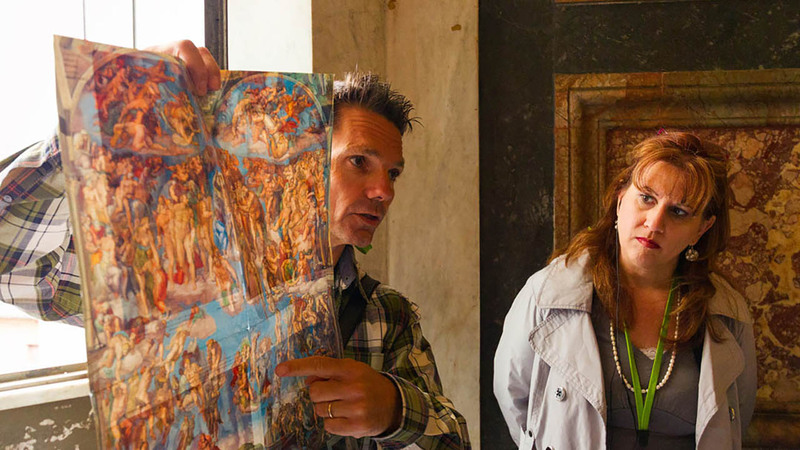 Our Pristine Sistine Vatican tour with breakfast starts early, skipping the long lines into the museum and enjoying two very special experiences: Breakfast in the Pinecone Courtyard, and a low-crowd visit to the Sistine Chapel. 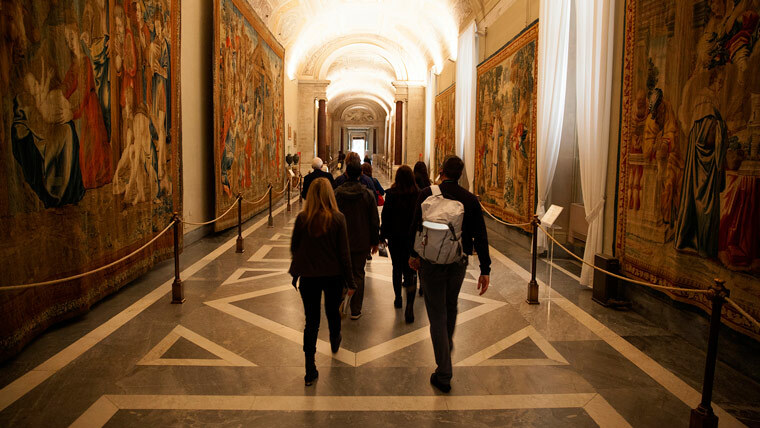 Following a special route through the museums, we'll beat the crowds to the chapel and enjoy a serene visit to Michelangelo's Masterpieces with just our small group of 15 people and a few other scattered visitors. In the Pinecone Courtyard we'll enjoy a buffet breakfast with hot and cold offerings, which gives us a chance to sit down, relax, and enjoy the ambience. 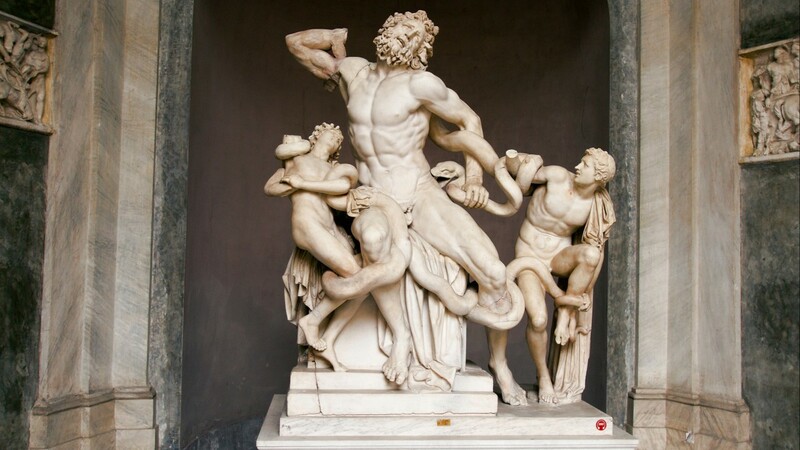 Next, we’ll take a Vatican Museums tour featuring the most famous artifacts, including the Belvedere Torso, the Apollo Belvedere, the Laocoön Group, and the Raphael Rooms, widely considered to be among the most beautifully-frescoed interiors on earth. Our Vatican tour ends with a full St. Peter’s Basilica tour. 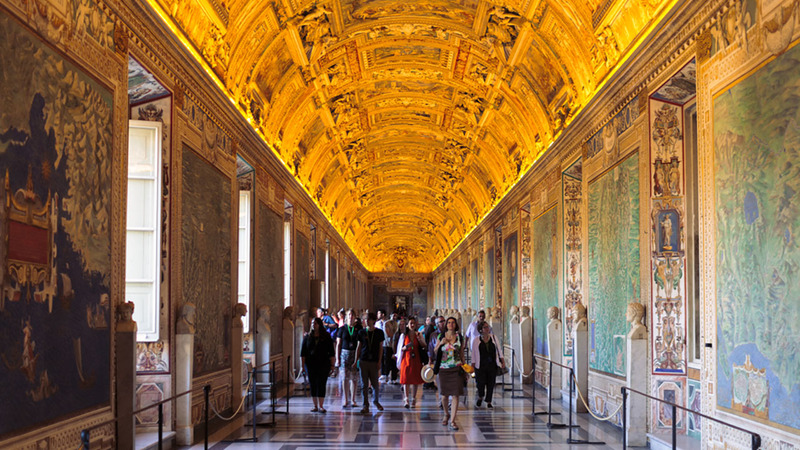 Don't worry about the long lines into the Basilica; we'll slip through an underground tunnel that takes us directly into the Basilica where we'll see all of the most important works of art and architecture, including Bernini’s Baldachin, Michelangelo’s Pietá, the enormous Dome, and more. Our guide was very nice and knowledgeable! She even suggested to us to get a special blessing since we had just been married. We couldn’t have asked for more. The Sistine Chapel was amazing and we were so glad we got to pass through it a second time and marvel at the beautiful masterpiece. Overall we had a wonderful time. Thank you!! It was an experience that I will never forget. I will recommend this tour and this guide as often as I can. This tour made the experience so enjoyable and the meaning immeasurably better than I imagined! Thank you so much! Jeb was an excellent tour guide. He was incredibly knowledgeable and did a great job weeding out the must-sees. The early entrance is 1000% worth the money. We passed back through the Sistine Chapel after opening and it was a zoo. My favorite part was St. Peter's Basilica and Jeb did a wonderful job highlighting the whole thing. Would highly recommend. Overall the tour was good and the guide, Michela, was very knowledgeable and seasoned and was able to guide us through the crowds. She explained the Sistine Chapel artwork while we were waiting in line outside to go through security. 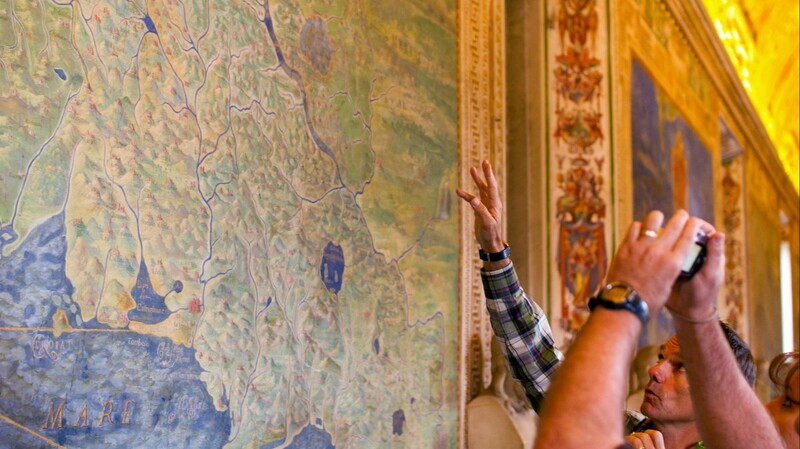 That information was very helpful once we got inside the Sistine Chapel. There’s a lot of information to absorb on the tour.